National Archives Rejects Schumer's Request For Brett Kavanugh's Records: GOP Committee Chair Has To Ask - Joe.My.God. 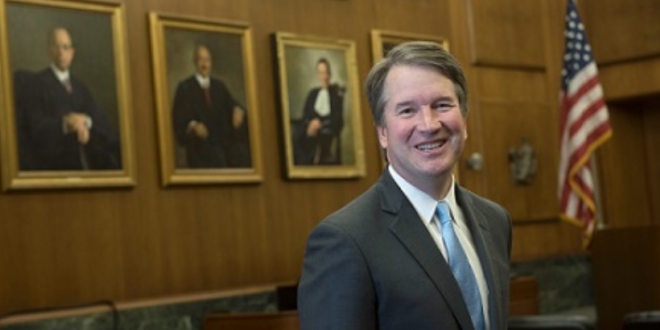 The Democratic push to get documents from Supreme Court nominee Brett Kavanaugh’s work in Bush administration ran into a new roadblock on Friday. The National Archives, in a letter to Senate Minority Leader Charles Schumer (D-N.Y.), said it will only respond to a request for documents under the Presidential Records Act (PRA) if they come from a committee chairman, who are all Republicans. The National Archives and Records “remains unable to respond to PRA special access requests from ranking minority members,” Archivist David Ferriero wrote. Senate Republicans are blocking the release of records from 3 of the 5 years that Kavanaugh worked in the White House. Supreme Court justices have the power to profoundly impact the rights and the lives of Americans for generations. We need transparency. What’s there to hide? BREAKING: Senate Republicans’ vetting of Judge Kavanaugh’s record just moved from being shameful to an outright sham.